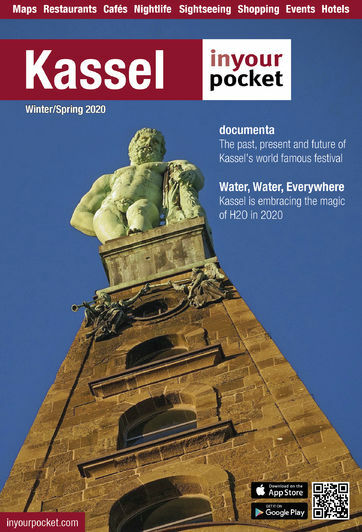 Kassel's friendly tourism information office has maps, brochures and information about sights, lodging and events in the city and around the region. There's also an office at Kassel-Wilhelmshöhe station. After documenta the opening hours revert to: Wilhelmsstrasse office Mon-Sat 10:00-18:00; Kassel-Wilhelmshöhe office Mon-Fri 10:00-13:00 & 14:00-18:00. I&apos;m Camila, art manager in Buenos Aires, Argentina. I&apos;m travelling to Kassel with a group of collector in June 22nd to 28th, 2007. We will be 17 people. I need a minibus service with driver for these days. It will be used to go from the hotel to the Documenta and to other cultural institutions. Could you reccomend me any service of minibus with driver? EDITOR&apos;S REPLY: Dear Camila, you&apos;re best off contacting one of Kassel&apos;s taxi companies, they are sure to have minivans for rent as well. See here: https://www.inyourpocket.com/kassel/Arrival-and-Transport/Taxis.